A long-running Marvel comic you may not be aware of might be finishing up for good soon, as the syndicated newspaper strip “Amazing Spider-Man” is headed into the sunset. The strip, which has been written by Stan Lee and Roy Thomas and drawn by Alex Saviuk, is ending on March 23. The Sunday Strip on March 17 certainly seemed like a finale, as you can see below. After the passing of Stan Lee, it seemed that there was a high probability the strip would end to make way for something new. What that “new” thing will be is still up in the air. The distributor of the strip, King Features Syndicate, will be publishing reruns of some of Spider-Man‘s previous newspaper adventures starting on March 25 until they decide on what is next. You’ll be seeing some changes in your friendly neighborhood Amazing Spider-Man comic strip over the coming months. 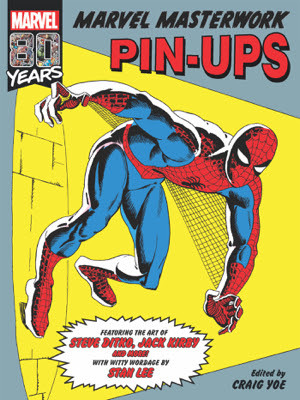 Starting on March 25, King Features and Marvel will be re-running some of Spider-Man’s greatest hits. We’ll be back soon with great new stories and art to explore even more corners of the Marvel Universe for you and your readers to enjoy. We’ll be announcing more about these new adventures in the very near future, so keep your Spidey senses tuned in! Based on this statement, one can infer that whatever comes next may not be strictly Spidey, but instead open things up to the entire Marvel comic universe. “The Amazing Spider-Man” newspaper strip launched on January 3, 1977, and survived for 42 years in the comics section of many papers. Mego Corporation, the original action figure toy creator, announced today that it has acquired a license to create new action figures from the SECRET VAULT of Stan Lee, an untapped reservoir of creativity. The agreement with Stan Lee’s POW! Entertainment enables Mego Corp. to unveil never-before-seen characters created by Stan Lee and introduce the creations to fans later in 2019, as the newest action figure toys in the Marty Abrams Presents Mego line. He is a creator of numerous superheroes. He has brought joy and excitement to comic book readers all around the world. In various superhero movies over the years, his cameos have lightened up the scenes and sometimes surprises movie-goers. Today, celebrating the opening of Stan Lee’s Comikaze Expo 2015, Hot Toys is thrilled to officially present the 1/6th scale collectible figure of this living legend – Stan Lee! The highly-accurate collectible figure is specially crafted based on the image of Stan Lee. It features a newly developed head sculpt, meticulously sculpted hands and arms, finely tailored outfit, a director’s chair, detailed accessories, and figure stand. True believers, your superhero collection will not be completed without this legend. ‘nuff said.